There's no feeling in the world like seeing your little one thrive. All you need is a wipe that makes sure your baby's skin stays clean and healthy. 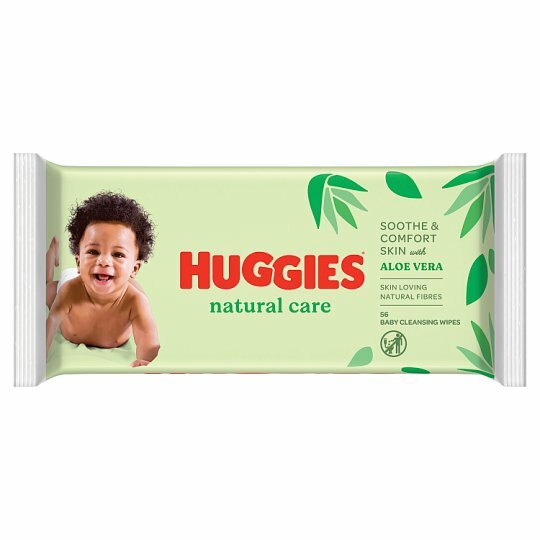 Huggies® Natural Care Wipes, made with skin loving natural* fibres and Aloe Vera, gently clean and protect baby's delicate skin. They help prevent the causes of nappy rash, making sure your little one is always comfortable. Hypoallergenic and clinically tested, Huggies® Natural Care Wipes gently protect baby's delicate skin. British Skin Foundation recognises Huggies® research into healthy skin.